Our handmade soaps are created by a small business owner located in California. She uses fresh amazing looking and smelling ingredients to make beautiful bars of specialty soaps. These ingredients consist of a vast selection of dried botanicals, fragrances, essential oils, vegetable based soap and glitter. These soaps smell so great that you’re going to want to eat them! 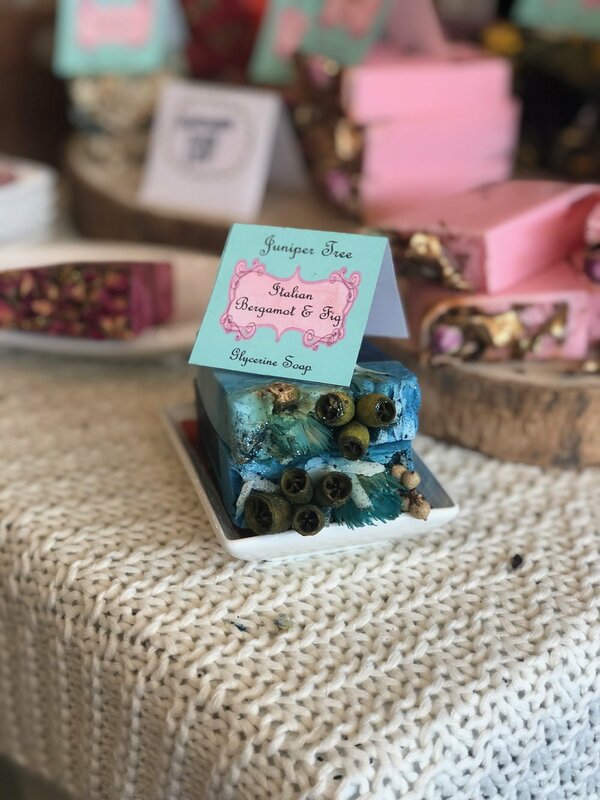 Not only can you treasure these soaps for yourself, they also make wonderful gifts for friends or family and can be used for rustic or bohemian wedding decor. As you can see the soaps are one of a kind, and so stunning, you may just want to keep them as part of a centerpiece. We have more than ten different colored scented soaps to suit your liking.